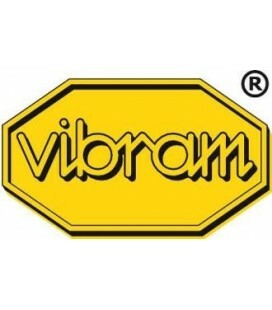 Vibram® is a leading brand in the manufacture of soles for all types of footwear, especially in climbing shoes, where greater friction and durability is needed. The brand has developed different types of soles according to need: the XS Grip, the XS Grip2 and the XS Edge. 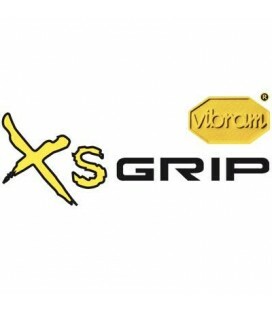 The Vibram XS Grip sole is made up of a simpler polyvalent compound. This was the sole used before the appearance of the XS Grip2, however, it is still useful for climbing gyms and walls that do not require great precision and adhesion. The evolution of the Vibram XS Grip sole, giving the rubber a greater grip and durability. This is a sole that is mainly used on cat feet that require greater precision and sensitivity. 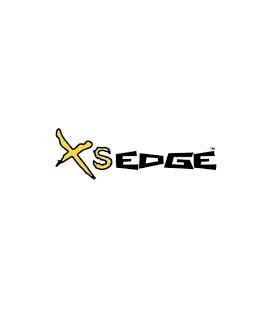 The XS Edge soles are made of a harder and longer lasting rubber, thinking of a greater resistance to torsion and to hold of small edges during the climbing. In Goma2 we have the full range of Vibram® soles for repairing your climbing shoes. The resoling with Vibram® is a good value for money. Choose the sole that suits you best and do not forget to select the rands if necessary. CLIMBING SHOES REPAIR WITH 5 mm VIBRAM XS EDGE IN THE SECTION SHOE REPAIR /GOMA 2.0 WE EXPLAIN HOW THIS SERVICE WORKS AND YOU CAN SEE AND CHOOSE FROM THE ARRAY OF RUBBERS WE OFFER TO RESOLE YOUR CLIMBING SHOES. CLIMBING SHOES REPAIR WITH 4 mm VIBRAM XS EDGE IN THE SECTION SHOE REPAIR /GOMA 2.0 WE EXPLAIN HOW THIS SERVICE WORKS AND YOU CAN SEE AND CHOOSE FROM THE ARRAY OF RUBBERS WE OFFER TO RESOLE YOUR CLIMBING SHOES. Vibram XS Grip 2 Rubber - 4 mm IN THE SECTION SHOE REPAIR /GOMA 2.0 WE EXPLAIN HOW THIS SERVICE WORKS AND YOU CAN SEE AND CHOOSE FROM THE ARRAY OF RUBBERS WE OFFER TO RESOLE YOUR CLIMBING SHOES. Vibram XS Grip Rubber - 5 mm IN THE SECTION SHOE REPAIR /GOMA 2.0 WE EXPLAIN HOW THIS SERVICE WORKS AND YOU CAN SEE AND CHOOSE FROM THE ARRAY OF RUBBERS WE OFFER TO RESOLE YOUR CLIMBING SHOES. Vibram XS Grip Rubber - 4 mm IN THE SECTION SHOE REPAIR /GOMA 2.0 WE EXPLAIN HOW THIS SERVICE WORKS AND YOU CAN SEE AND CHOOSE FROM THE ARRAY OF RUBBERS WE OFFER TO RESOLE YOUR CLIMBING SHOES. Climbing shoes repair with 5mm vibram grip rubber In the section shoe repair /goma 2.0 we explain how this service works and you can see and choose from the array of rubbers we offer to resole your climbing shoes. Climbing shoes repair with 3,5mm vibram grip rubber In the section shoe repair /goma 2.0 we explain how this service works and you can see and choose from the array of rubbers we offer to resole your climbing shoes.